Taptu for Android has received an update in the Play Store. Users can now set up streams on any device by using a social network or Google account instead of having to register with Taptu, which makes sharing and reading great content on multiple devices a whole lot easier. It has also been given a lovely UI make over which looks pretty hot on devices running Ice Cream Sandwich. Included in the update are some new widgets to help fill out your homescreens in case you had troubles already doing so. 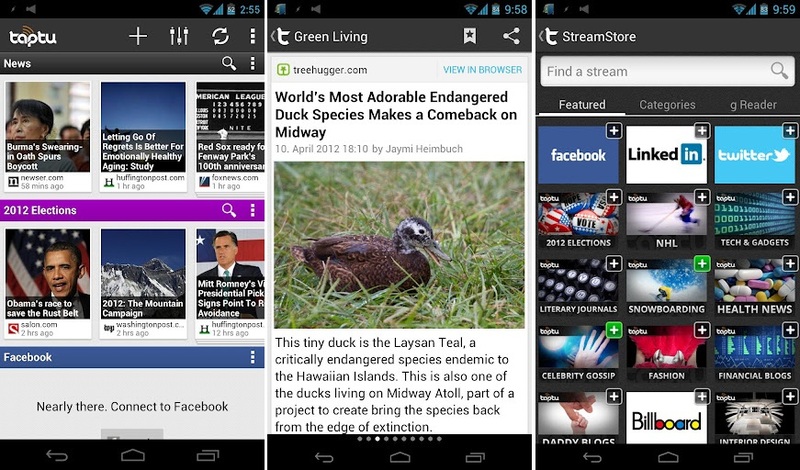 There are a ton of feed readers for Android, so which is your favorite? Note: The below video is hysterical – Old lady going ham on fragile decor? Heck yes.